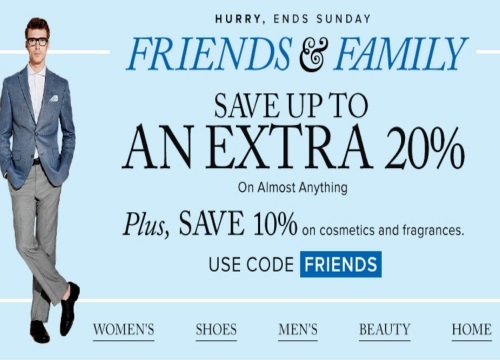 Save an extra 10% off on cosmetics & fragrances as well as regular-priced, sale and clearance furniture, mattresses, major appliances, and small appliances, patio, personal care, electrics, vacuums, confectionery, cookware, bakeware and gadgets with any tender. Enter the promo code FRIENDS at checkout. Offer ends June 19 2016 at 11:59pm ET.